Brian Ashton, known as Raz to his friends, is a Canadian metal sculpture artist. He uses steel and recycled metal from cars, motorcycles and other metal cast-offs to create unique and often whimsical sculptures. With a passion for motorcycles, Raz finds inspiration in the things around him. Parts from old bikes and autos frequently find their way into his sculptures. 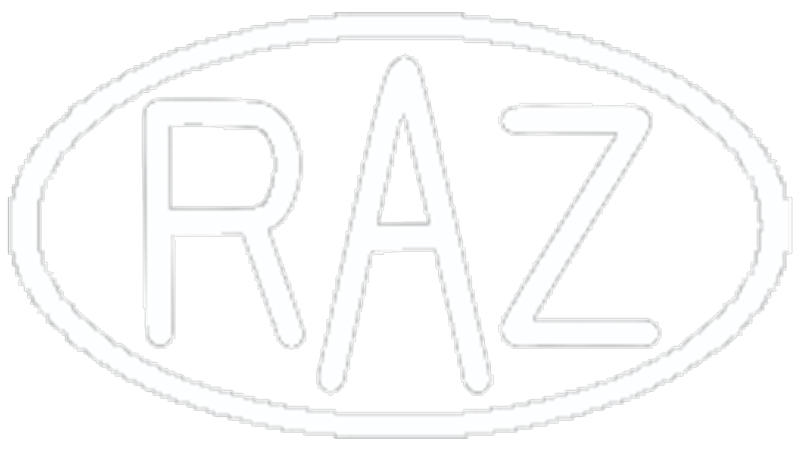 Raz began working on trucks and cars while in his teens. His skills and interests evolved and he began working on and eventually building custom motorcycles – a passion that continues to this day. 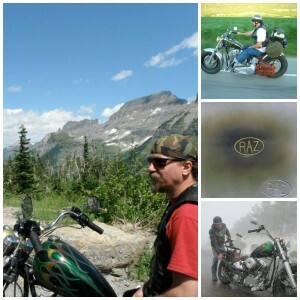 He has built several bikes over the years and has helped several friends with their bikes. Through this automotive work, Raz taught himself how to work with and eventually create using metal. In 1993 Raz lost his left leg in a motor vehicle accident. His injuries made it difficult to work at his old job as a shop foreman in a plastics plant. Debilitating phantom pain had become a regular occurrence after the accident. Raz found that spending time in his shop creating with metal helped to relieve the stress and deal better with the pain. Combining his mechanical background with his creative side has resulted in unique works of art that are perfect additions to homes or gardens. Unlike working on bikes where everything has to be measured to the thousandths of an inch – Raz has found metal sculpture to more forgiving and relaxing. With a mind that’s always in gear; Raz is constantly planning his next piece. Raz and his family enjoy a peaceful life in a rural area of Vancouver Island, BC.